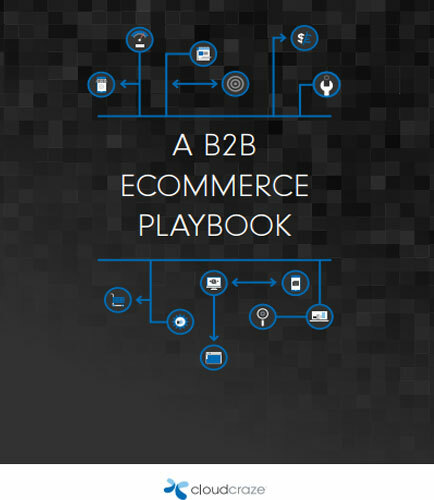 "B2B E-Commerce Playbook and Resource Guide"
Most leadership teams recognize the opportunity to boost sales and cement customer relationships by building better online and mobile experiences. But when faced with a variety of options and a growing sense of urgency, just getting started can be a challenge. At $1 trillion, the global B2B market is four times the size of the B2C market overall. Yet in its Wave™ B2B Commerce Suites Q2 2015, Forrester reports that most B2B companies lag their B2C counterparts in terms of digital maturity and quality of customer experience. What is B2B E-commerce ? B2B E-commerce refers to the transaction of products and services between the businesses via the internet. When a company buys or sells products and services to other company through a network (such as the internet) then the transaction between those companies is known as B2B e-commerce. The B2B e-commerce services are not directly offered to the customers.